From resurfacing and paint removal to final finishing and creating artistic effects, these versatile new sanding tools are ideal for a variety of sanding needs. 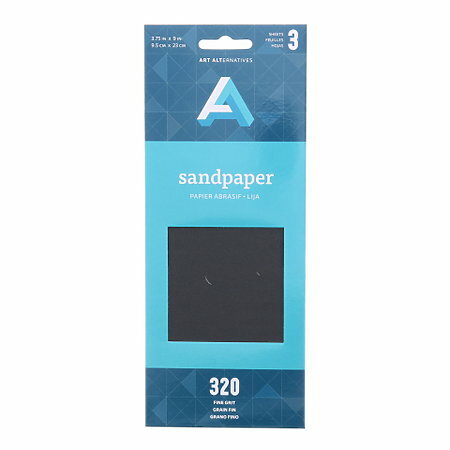 Available in packs of three 3.75"w x 9"h sheets in either fine (320 grit), medium (240 grit) or coarse (120 grit). The multi-pack includes one sheet of each grit.